Against the Run of Play: How an incumbent president was defeated in Nigeria By Olusegun Adeniyi. Two years after, former President Goodluck Jonathan has spoken on the loss of his Presidency. He said he lost the 2015 elections to local and international conspiracies. He named the United States, Britain, and France as the conspirators. 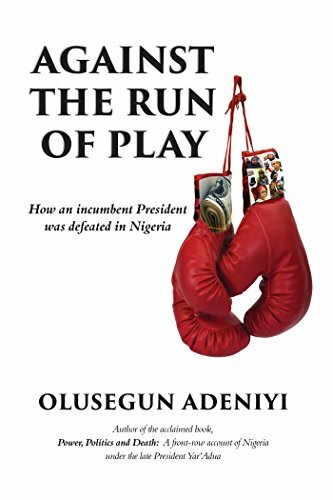 Click here to buy a copy of Against the Run of Play: How an incumbent president was defeated in Nigeria By Olusegun Adeniyi. Payment on delivery available in Lagos and Ibadan. He blamed it all on former United States President Barack Obama, ex-British Prime Minister David Cameron and French President Francois Hollande for aiding President Muhammadu Buhari’s victory. Dr. Jonathan also said he was disappointed by the conduct of the immediate past Chairman of the Independent National Electoral Commission (INEC), Prof. Attahiru Jega, in the weeks preceding the elections. He, however, claimed that he did not take disciplinary action against ex-Minister of Petroleum Resources Mrs. Diezani Alison-Madueke because the evidence against her was weak. He plans to reveal the nature of his relationship with ex-President Olusegun Obasanjo soon. Jonathan reminisced on his defeat in a new book, “Against The Run of Play”, which is authored by the Chairman of ThisDay Editorial Board, Mr. Olusegun Adeniyi, who is also an accomplished Politics Editor. The book which was presented in Lagos on Friday 28th of April, 2017 takes an intense look at Nigerian politics at a time when an entrenched political party was defeated in a presidential election after 16 unbroken years in power. 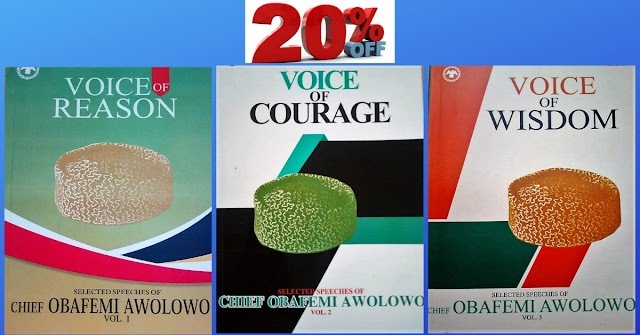 This book offers the reader a narrative explanation and an unusual insight into the major human and institutional factors that led up to the defeat of President Goodluck Jonathan in 2015. Equally important is the author’s detailed recall of the major political developments that made the outcome inevitable while shaping the very expectations that brought President Buhari to power. Adeniyi enhances the credibility of his narrative through an extensive set of interviews with living key players in the drama he relates. The hindsight of these key players throws the events into bolder relief and illuminates the road ahead. Jonathan also revealed that he was betrayed by those he relied on to defeat Buhari. He said: “President Barack Obama and his officials made it very clear to me by their actions that they wanted a change of government in Nigeria and we’re ready to do anything to achieve that purpose. They even brought some naval ships into the Gulf of Guinea in the days preceding the election. “I got on well with Prime Minister David Cameron but at some point, I noticed that the Americans were putting pressure on him and he had to join them against me. But I didn’t realise how far President Obama was prepared to go to remove me until France caved in to the pressure from America. “But weeks to the election, he had also joined the Americans in supporting the opposition against me. The ex-President expressed disappointment with the former Chairman of INEC for allegedly acting American’s script. Jonathan said: “I was disappointed by Jega because I still cannot understand what was propelling him to act the way he did in the weeks preceding the election. “As at the first week in February 2015 when about 40 per cent of Nigerians had not collected their Permanent Voters Cards (PVCs), Jega said INEC was ready to go ahead with the election. How could INEC have been ready to conduct an election in which millions of people will be disenfranchised? “Of course, the Americans were encouraging him to go ahead yet they would never do such thing in their own country. How could we have cynically disenfranchised about a third of our registered voters for no fault of theirs and still call that a credible election? Contrary to the general perception, he insisted that it was right for his administration to have postponed the election based on security reasons. “When the military and security chiefs demanded for more time to deal with the insurgency, the reasons were genuine. As at February 2015, it would have been very difficult to vote in Gombe, Adamawa, Borno and Yobe states. Although Jonathan faulted the results of the 2015 presidential election, he said he conceded defeat to avoid bloodshed. He added: “Go and check the results from Kano. The Presidential election and that of National Assembly happened on the same day and same time. The National Assembly result reflected that about 800,000 people voted but that of the presidential reflected a vote of about 1.8 million. I had reports of what happened but I decided that for such to be accepted, it meant that those who called themselves my supporters must have colluded. I was betrayed by the very people I relied on to win the election. On whether or not his renege of a one-term agreement accounted for his defeat, Jonathan said he never made any such commitment to anybody or party. He said his comments in Addis Ababa in February 2011 on tenure were grossly misinterpreted. He added: “I had made a proposition for a single term of seven years. That was the context in which I spoke in Addis Ababa that if the idea was accepted, I would not run again. It was not the context of a second term of four years. “Of course, at that period, the issue of one term was brought up several times at different meetings and some people took it upon themselves to pledge on my behalf but I never said I was going to spend only one term…the question was always usually randomly asked and I never made any such commitment to anybody. The ex-President denied shielding a former Minister of Petroleum Resources, Mrs. Diezani Alison-Madueke from being accountable for the alleged rot in the oil and gas sector when she was in charge. He said he investigated allegations against Mrs. Alison-Madueke and others but there was no foolproof evidence. According to the former President, the report of the Nuhu Ribadu Investigative Committee was “discredited”. He said: “We commissioned a report which I believe this administration is using. It deals with the undervaluation of the crude oil and gas being declared between what was lifted and what was discharged by the vessels. It was a comprehensive report that dealt with issues of oil theft in Nigeria and how much we lose as a result of it. Jonathan said he was not weak in fighting corruption but he chose to investigate allegations against his ministers or public officers before acting. He said when the allegations against former Minister of Aviation Stella Oduah were confirmed; he removed her. He said: “I have been told that I should have made scapegoats of some officials so I would be seen to be fighting corruption, I usually subject them to investigations. On the abduction of the Chibok girls, Jonathan maintained that he did his best but admitted that there was a better commitment against Boko Haram insurgency now. He said: “What is happening now with regards to Boko Haram was the same thing that happened to me regarding Niger Delta militants in 2007. “I did my best and so did the military, though I can understand if there is a greater commitment to the fight now than in the past. In my time, Boko Haram said they were fighting an infidel government. That naturally has to change since they cannot also call Buhari an infidel. “There is a feeling of ‘our man is there now’ that you cannot discountenance. It was the same feeling with me with the Niger Delta militants at the initial stage in 2007. “I recall that immediately he won the election in 1999 before he was even sworn in, Obasanjo had visited Niger Delta to hold meetings. Meanwhile, the first time I would be meeting Asari Dokubo, Ateke Tom and other militants was years later in Aso Rock at a meeting (Obasanjo) called to find a solution to the problem at a period I was Deputy Governor of Bayelsa State. Despite all those efforts, Obasanjo failed to resolve the problem until the late Yar’Adua came with the Amnesty Programme. Should we then hold Obasanjo accountable for the Niger Delta problem? Jonathan debunked insinuations that he said stealing is not corruption. He said he was never the author of the statement ascribed to him. “That was what was important to me. I would not go outside the country and say Nigerians are the most corrupt people because not only is that unhelpful, I am also indicting myself. Take the oil industry. ”Yet, people make all the noise about corruption. If the problem is that I failed to label Nigerians as fantastically corrupt, then I don’t think I should apologize for that. Jonathan said that what those who romanticize the issue forgot was that “when you destroy your country, you are also destroying yourself”. While dismissing the allegation of “Ijawnisation” of his administration, Jonathan said he will soon disclose the nature of his relationship with ex-President Olusegun Obasanjo. “That is the same accusation President Obasanjo leveled against me in his letter. In my memoir, I am going to reveal the nature of my relationship with President Obasanjo, beginning from 2007 when he nominated me to be running mate to the late President Yar’Adua to 2011 when I wanted to run and the real roles he actually played before, during and after the 2015 election. The news from Nigeria today is wonderful. Africa’s largest country has concluded a peaceful election process. Furthermore, the incumbent has already gracefully conceded and congratulated his successor – a first for Nigeria and a benchmark for other African countries to follow. Olusegun Adeniyi’s Against the Run of Play at once captures the bleak essence of Nigerian politics – or ‘Politricks’ as he put it elsewhere – and paints a vivid picture of the challenges of governance and how these have combined to arrest the country’s growth and development- a quintessential treasure trove for those seeking to make sense of our tortuous journey of national ‘self-discovery’. Against the Run of Play brings into sharp focus the centrifugal forces that took Nigeria to the brink in the 2015 election. Thoughtful, intelligent and rigorous, Olusegun Adeniyi’s book trains an unerring eye on recent history, and calls us to remember. In this story of politics marked by intrigue, ambition, tragedy and farce, shines through a nation’s miraculous ability to remake itself.